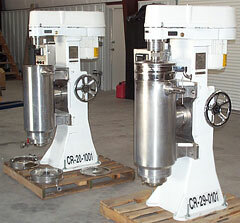 Sharples Super Centrifuges - Separation Equipment Sales, Inc. 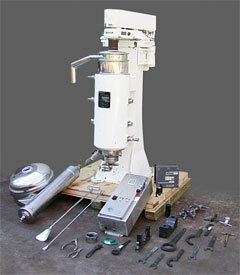 The Sharples Super Centrifuge is a machine for applying centrifugal force to a liquid. 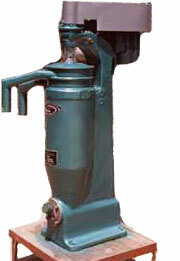 The rotor, called a bowl, has an opening in the bottom to allow the liquid to enter, and openings in the top of the bowl to allow the fluid or fluids to discharge. The fluid entering the rotating bowl is caused to rotate with the bowl. Centrifugal force is generated by rapid rotation. 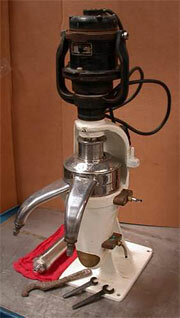 The liquid as it passes from bottom to the top of the bowl, is acted upon by the centrifugal force generated. The separation of liquids is thus effected and removal of solids accomplished. 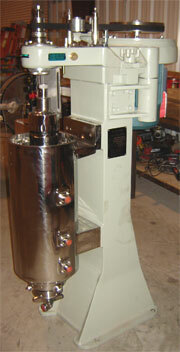 Feed pressure is required to jet the liquid into rotor and the discharge is by overflow at the discharge ports. Sharples Centrifuge Clarifier design: A clarifier is a centrifuge adjusted to discharge a single liquid from which the solids have been removed by centrifugal force. 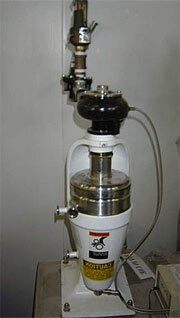 Sharples Centrifuge Separator design: The term separation is used to describe the result of gravity or centrifugal force acting on two liquids, such as oil and water. 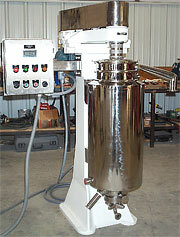 A centrifugal separator is one that is adjusted to continuously separate and discharge these liquids. Since this force is also acting on any solids present, clarification takes place at the same time through the deposit of these solids against the wall of the bowl. 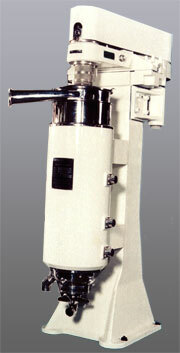 Sharples Centrifuge "Three phase" design: Same as separator design. 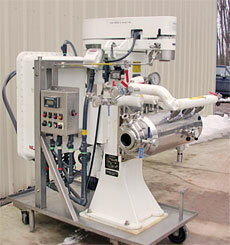 AS26SP on a portable skid complete with explosion proof starter, electrical wiring, stainless steel piping.